New research has confirmed that fermented wheat germ – especially using sourdough fermentation methods – is a viable cancer treatment, able to halt the growth of cancer cells. The new research, from Italy’s University of Bari and Germany’s Martin Luther University, screened over 40 fermenting bacteria types and tested wheat germ fermented using traditional sourdough methods against raw wheat germ. The laboratory research then tested these against multiple human cancer cell lines. They found that while the raw wheat germ had no anticancer potential, the fermented wheat germs showed significant inhibition of cancer cell growth. There was a variance between the extent of cancer inhibition among the types of cancer tested, which included ovarian cancer, colon cancer and germ cell tumors. The researchers found that the fermented wheat germs inhibited ovarian cancer cells the most between the three, but all three were inhibited by the fermented line. 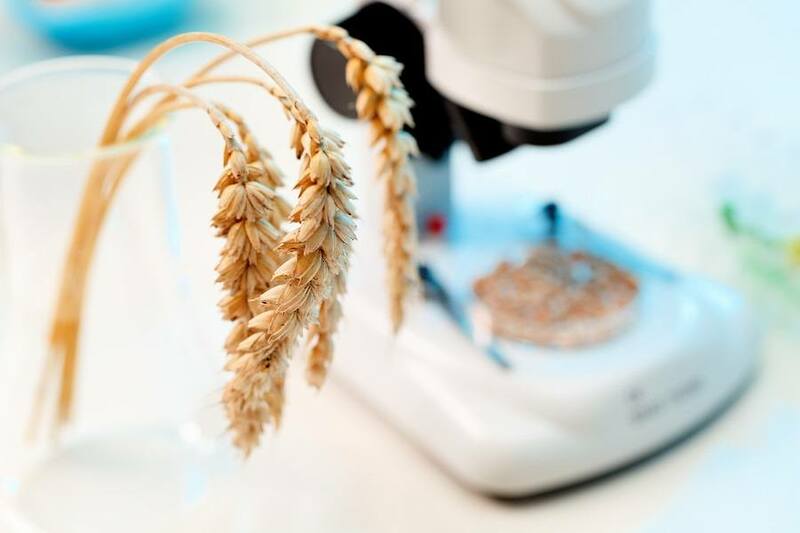 The research also found that two of the bacteria used in fermentation – bacteria normally found among fermented wheat germ – were especially productive because they produced an enzyme called beta-glucosidase. The two highest beta-glucosidase producing fermentation processes utilized the bacteria species Lactobacillus plantarum and Lactobacillus rossiae. Beta-glucosidase is an enzyme that breaks down glucose and other plant matter, releasing their beneficial phytonutrients. A couple of the beneficial phytonutrients released by the fermentation process of wheat germ are methoxybenzoquinone and dimethoxybenzoquinone. These are also referred to by biochemists as quinones. Quinones of different types are used in the body for metabolic purposes. One of the most famous of these is ubiquinone, also known as Coenzyme Q10 – or CoQ10. But these quinones are also benzoquinones, as they have a benzene ring. This means they can be toxic in some cases, but in this case, they are toxic against cancer cancer cells. Fermented wheat germ has been progressively studied for many years. For example, researchers from Florida’s Lee Moffitt Cancer Center and Research Institute also found that fermented wheat germ extract significantly inhibited ovarian cancer cell lines. The researchers tested the fermented wheat germ against no less than 12 ovarian cell lines. Clinical testing has also been done on fermented wheat germ. A phase II clinical trial of fermented wheat germ was done by researchers from Russia’s N.N. Blokhin Cancer Research Center in conjunction with the Russian Academy of Medical Sciences. The researchers gave a fermented wheat germ extract product (Avemar) together with conventional therapy to patients with melanoma – a type of skin cancer. The patients were classified as “high-risk” in terms of survival rates. The patients given the fermented wheat germ extract for one year, and all the patients were followed for seven years after the treatment. The researchers found that the average survival was 66 months among those who took the fermented wheat germ extract, while the average survival was nearly 45 months among the control group – given conventional treatment without the wheat germ product. The researchers also found that the fermented wheat germ patients had significantly less progression of their cancers. They had an average of nearly 56 months of no progression of their cancers, while the conventional-treatment group had an average of 30 progression-free months. Besides the cancer cytotoxic effects of benzoquinones produced by the fermentation process, one of the potential mechanisms of fermented wheat germ relates to its ability to block the cancer cell’s energy source – a process called glycolysis. Glycolysis is a critical part of the process of converting glucose and oxygen into energy. To block this process among cancer cells means to smartly cut off their food source. It should be noted that the bacteria used to ferment wheat germ – especially Lactobacillus plantarum – are normal inhabitants of healthy intestines. Lactobacillus plantarum and other species have also been used to ferment various other cultured foods over the centuries. In other words, once again we find yet another indication of the wisdom of nature and our ancestors’ use of fermentation. Nature’s foods combined with probiotics – the process of fermentation which also takes place within a healthy gut – not only provides an array of readily available nutrients. They help prevent many of the diseases currently associated with our antimicrobial, overly-processed foods and lifestyles. And in this case, fermented foods may well help treat the ravishes of cancer. Rizzello CG, Mueller T, Coda R, Reipsch F, Nionelli L, Curiel JA, Gobbetti M. Synthesis of 2-methoxy benzoquinone and 2,6-dimethoxybenzoquinone by selected lactic acid bacteria during sourdough fermentation of wheat germ. Microb Cell Fact. 2013 Nov 11;12(1):105. Judson PL, Al Sawah E, Marchion DC, Xiong Y, Bicaku E, Bou Zgheib N, Chon HS, Stickles XB, Hakam A, Wenham RM, Apte SM, Gonzalez-Bosquet J, Chen DT, Lancaster JM. Characterizing the efficacy of fermented wheat germ extract against ovarian cancer and defining the genomic basis of its activity. Int J Gynecol Cancer. 2012 Jul;22(6):960-7. doi: 10.1097/IGC.0b013e318258509d. Demidov LV, Manziuk LV, Kharkevitch GY, Pirogova NA, Artamonova EV. Adjuvant fermented wheat germ extract (Avemar) nutraceutical improves survival of high-risk skin melanoma patients: a randomized, pilot, phase II clinical study with a 7-year follow-up. Cancer Biother Radiopharm. 2008 Aug;23(4):477-82. doi:10.1089/cbr.2008.0486. Comin-Anduix B, Boros LG, Marin S, Boren J, Callol-Massot C, Centelles JJ, Torres JL, Agell N, Bassilian S, Cascante M. Fermented wheat germ extract inhibits glycolysis/pentose cycle enzymes and induces apoptosis through poly(ADP-ribose) polymerase activation in Jurkat T-cell leukemia tumor cells. J Biol Chem. 2002 Nov 29;277(48):46408-14.